A secure, fully-monitored colocation facility with redundant power and bandwidth. Put your trust and your gear in our data center: a secure, fully-monitored colocation facility with redundant power and bandwidth. Our A+B power is fully redundant not merely back to the UPS but to the generator and ATS (Automatic Transfer Switch). We also provide 240 Volt options and tools for you to see how much power you are using on each circuit. We peer directly with dozens of key Internet-based companies including Google, Microsoft, and Yahoo to give you ultra-low latency access when you need it. XMission guarantees that you will have around-the-clock physical access to both your equipment and our expert technical assistance. XMission's network is fully redundant from the point we connect to our diverse carriers all the way to the switches we use to connect with you. XMission purchases 100% wind-based power for our data center facility, to offset our carbon footprint. 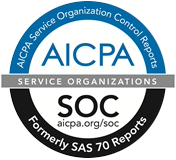 Every year, XMission completes its SOC 2 audits. Our due diligence not only helps you meet your company's compliancy requirements but should also help you sleep better at night. XMission understands that you have your own unique needs and are here to help find the right fit. For example, many companies need a hybrid hosting mix as they diversify how they handle various internal and customer facing needs. XMission continually makes significant upgrades to its data center infrastructure to improve cooling efficiency and effectiveness. In 2017, XMission became Energy Star certified, receiving a perfect score of 100. XMission technicians constantly watch all data center conditions, doors, and cameras. We control access via a two factor biometrics (who you are, what you know) system and record and archive facility access with security cameras. Choose from a current promotion or contact us to quickly get a custom bid for security cabinet and 4 point options to best suit your exact needs. Can I mix colocation and cloud hosting? Yes. Hybrid hosting (e.g., using both colocation and cloud-based hosting) is a very good option for businesses with diverse hosting needs. Have a highly customized database server but the rest of your web site could run in the cloud? Or perhaps you can run everything in the cloud but your FTP file server? No matter your particular situation, XMission can help you architect a hybrid cloud+colocation solution to fit your exacting needs. Learn more about our cloud options. Can XMission help us manage offsite backups? Yes. For systems administration best practices, we strongly recommend you regularly backup all important files on your off site servers. If you do so over a private line connection through XMission to your offices, we can configure it to not be metered with the rest of your bandwidth usage. Are private line options available? A private line dedicated connection between your office and colocated servers at XMission can provide you with a secure and unmonitored dedicated connection, enabling you to best manage your colocated servers remotely without the cost and hassle of needing a VPN. Where do we park and does it cost me anything? What about physical security at XMission? XMission takes security seriously. For example, have you noticed the cameras around the data center, both inside and out? Our on site technicians watch the output from those cameras 24/7 and follow policies and procedures if they determine anything is amiss. We record and archive the last 90 days of video output from the cameras as well. We also monitor who's using our biometrics system, archiving access logs for a year. Need any ACLs (Access Control Lists) setup? No problem. If you're ever the victim of a DOS (Denial Of Service) attack, or other network-related problems, don't hesitate to contact us for help. Among other things, we can block IP addresses at the border and in extreme cases through our upstream providers as well. 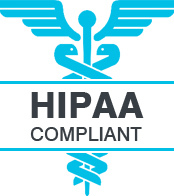 Is XMission SOC 2/HIPAA/PCI compliant? Are bandwidth usage statistics available? Is power strip monitoring and remote power cycling included? All customers in cabinets can access the electrical power usage for each power strip you use. As well, you can remotely power cycle a server if it gets stuck and won't properly reboot normally. The power strip output also shows you how hot it is in the upper back area of your cabinets, generally the hottest location. Our commitment to customer privacy. Trust our professional support team to keep you connected around-the-clock. We'll take care of your systems so you can focus on what you do best: caring for your customers. XMission offers a full set of business services including web hosting and colocation, unified email and collaboration, business phone services, and nationwide connectivity. All XMission services run on a sophisticated network backed by expert technical support, available 24/7 via phone, email, or live chat. XMission maintains a clean, static-free, and climate-controlled environment to ensure that your equipment runs optimally. All systems are continually monitored and notifications are automatically sent to oncall engineers. Multiple fiber optic upstream connections with major carriers provide cost savings plus increased reliability for our customers (currently nLayer, Comcast, XO, Zayo, and Integra). We offer any size connection 10Mb up to 10 GigE, giving you the capacity you need now, with plenty of room to grow as your business needs expand. We have N+1 redundancy throughout our infrastructure, which gives you peace-of-mind, mitigating risk and allowing us to perform routine maintenance without causing service interruption. Ready to launch? Get started now!